Within a 10-minute walk of the hotel, you'll find Lori Wilson Park and I Dream Of Jeannie Lane. East Coast Surfing Hall of Fame and Alan Shepard Park are also within 2 miles (3 km). This hotel features a restaurant, an outdoor pool, and a poolside bar. Traveling on business? Take advantage of the 24-hour business center, free WiFi in public areas, and valet parking. 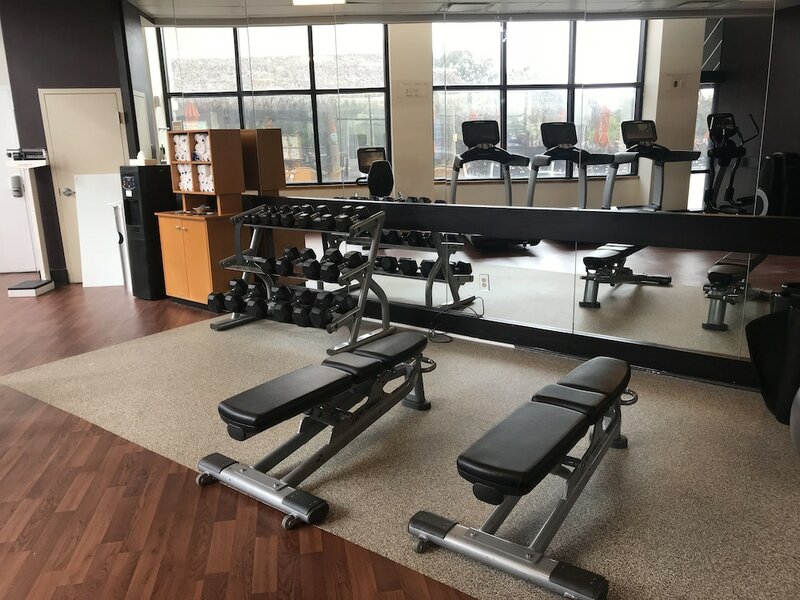 You'll appreciate the 24-hour fitness center, bar/lounge, and laundry facilities. Boasting deep soaking bathtubs, the 295 guestrooms also offer WiFi and pillowtop beds. Flat-screen TVs come with Netflix, and other amenities include wired Internet and refrigerators. We loved the outdoor bar and pool area and the bartenders out there were great, as well. The hotel had excellent proximity to the beach. Our room was nice, but the bathroom wasn't spacious or updated. It looked old and the hairdryer was old, as well. It took a long time for us to get a room and although the staff told us that check-in wasn't officially until 4:00. We arrived early, so we left to have lunch and came back sometime later. Although we were told they'd work on a room for us as soon as they could, we then sat and watched many people who walked in after us get their rooms before we did. We asked if it was we booked through Travelocity and not through the hotel itself. They said no, but offered no explanation as to why we didn't get our room in the order in which we came in. Could be type of room, I guess, but it didn't feel very accomodating. Excellent, room great food at breakfast and dinner. There were many hotels in Cocoa Beach that claimed they were on the beach, but were not. The Hilton Cocoa Beach Oceanfront Hotel actually is on the beach and is a great place to stay. I will stay there again if in town again. It was a nice hotel for the most part. The staff was very helpful and accommodating. We needed a second mini fridge and they brought us one. The room and bathroom was a little small. It would have been very helpful if they had a clothes line over the tub so we could hang wet bathing suits. Also, the pool was too small for the size of the hotel. Great place! Great price!! Friendly staff loved tiki bar. We visit Cocoa Beach from Orlando 2-3 times a year and up until now we have been a loyal Hilton patron. We stayed 2 nights with our 5 year old and 2 month old in Room 351. The first night we checked in late and went right to sleep after eating a late dinner. The second night we came home after a long day at the beach and found the air airconditioner not working. We placed a call to the desk and a maintenance man worked on it for a few minutes and then determined the unit was no good, but the hotel was full so we would need to tough it out unless we wanted to find a room elsewhere. This diagnosis came after midnight. The hotel did provide a dehumidifier that we quickly found to be only adding heat to our already 87 degree room. The next morning we explained that the previous nights stay was miserable and we were surprised to find this type of service at a Hilton. The front desk manager negated the cost of the room for 1 night from our bill and we were on our way. 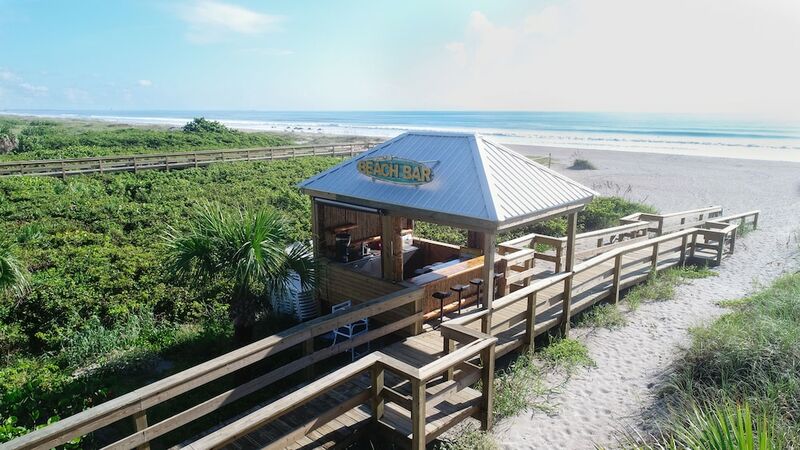 There are a TON of quality accomodations in Cocoa Beach. On our next visit we will certainly try a different one out. This was a great hotel. Really enjoyed my stay. Right on the beach. Great room very comfortable bed and very clean. Great extras in room. Pros: Close restaurants, Free Internet, Quiet, location!!.. I LIKED A LOT THE HOTEL LOCATION AND THE STAFF SERVICES!!.. Hilton Cocoa Beach Oceanfront offers its guests an outdoor pool, a 24-hour fitness center, and a children's pool. There's a restaurant on site, as well as a coffee shop/café. You can enjoy a drink at one of the bars, which include a poolside bar and a bar/lounge. Public spaces have free WiFi and wired Internet. You'll find a 24-hour business center on site. Event space at this hotel measures 4200 square feet (378 square meters) and includes conference space. Tour/ticket assistance, multilingual staff, and laundry facilities are also featured at the business-friendly Hilton Cocoa Beach Oceanfront. Limited parking is available for a fee and is offered on a first-come, first-served basis. Hilton Cocoa Beach Oceanfront offers 295 air-conditioned accommodations with laptop-compatible safes and safes. Pillowtop beds feature down comforters and premium bedding. 37-inch flat-screen televisions come with Netflix. Bathrooms include shower/tub combinations with deep soaking bathtubs, designer toiletries, complimentary toiletries, and hair dryers. In-room wired and wireless Internet access is available for a surcharge. Business-friendly amenities include desks and phones. Housekeeping is offered daily and hypo-allergenic bedding can be requested. 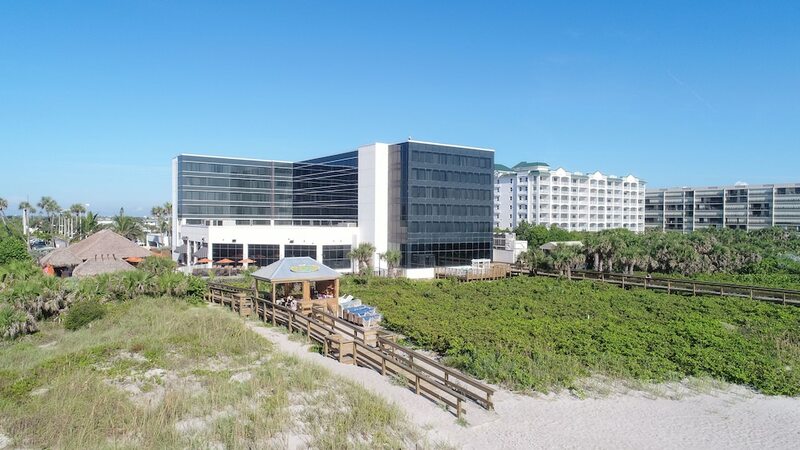 Hilton Cocoa Beach Oceanfront has a restaurant on site.